Mini acoustic guitars are usually perfect for people with small hands and beginners. However, with the kind of features and harmonics that they are loaded with, they can be used as travel guitars, learning guitars for intermediates, and concert guitars by professional artists. They can cost a few hundred dollars as well as a few thousand dollars depending upon their entry level, tonewood quality, and features. However, despite they serve different purposes, yet all mini acoustic guitars share some basic features that make them good or mediocre. Our today’s list of considerations is about some such features that will help you in finding a suitable mini acoustic guitar. 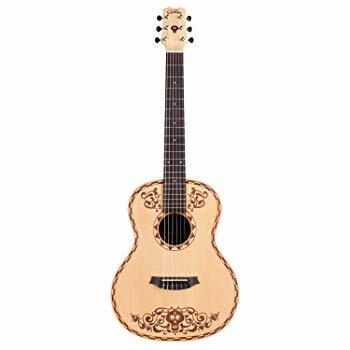 Mini acoustic guitars are of different kinds, have different shapes, fit different hands, have different prices and orientations, and complement different music levels. Keeping all these differences in mind, we have come up with a unique list of 10 best mini-acoustic guitars that’ll fit the bill of your needs and budget, both. 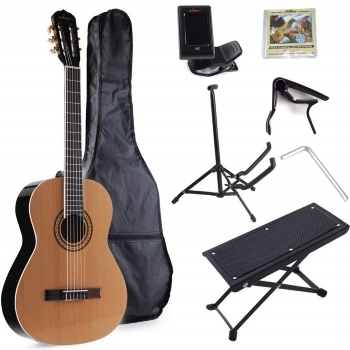 First act mini acoustic guitar is suitable for beginners, youngsters, and travelers. It has steel strings and a steel-reinforced slim neck with thin frets. With hardwood back, sides, and top, this small body acoustic guitar has a glossy finish and it weighs just 1 pound. Additionally, it also features a rosewood fingerboard with 19 frets. This instrument features dot inlays on the fretboard for assistance. Lastly, this 30-inch guitar has stickers with strings name glued on the tuning pegs for an easy beginning. Yamaha FS800 is a small body mini acoustic guitar with a slim Nato neck and a natural finish. It has a rosewood fretboard with 20 thin frets. This instrument sports a Mahogany tonewood back, sides, and top and it weighs 6.2 pounds. Moreover, this mini acoustic guitar by Yamaha has a solid Sitka spruce top and forward X bracing. Lastly, it has an adjustable truss rod, rosewood bridge, and die-cast tuners. 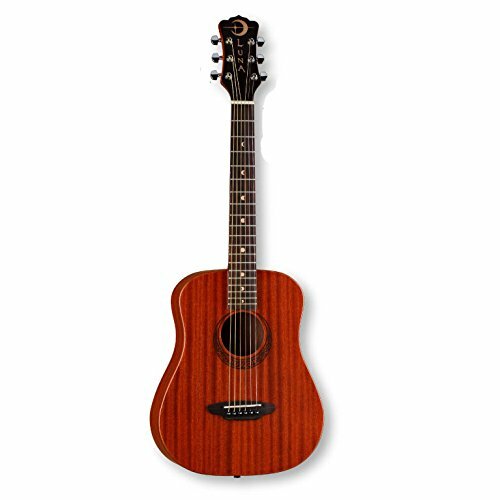 Fender MA-1 is a 3/4th size mini acoustic guitar with a slim C-shaped Nato neck. 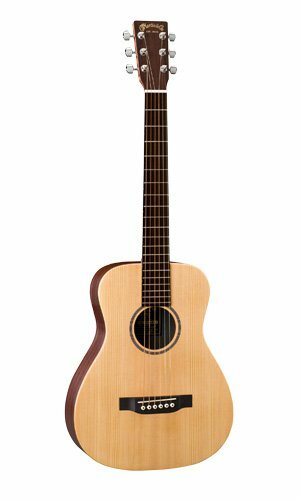 This 6-string acoustic guitar features an 18-fret rosewood fingerboard and Agathis material top. Its body is made of Sapele and Agathis, and this instrument also sports a 23.3 inch scale length. In addition, this guitar, with a 1.69-inch neck width, has steel strings and forward X bracing. Lastly, it has a hardtail bridge and it weighs 10 pounds. Taylor GS mini acoustic guitar has an ebony tonewood fingerboard with 20 frets. It has Mahogany tonewood back and sides and a layered Sapele bracing pattern. With a scale length of 23.5 inches, this instrument also features a slim Sapele neck. In addition, it has a nut width of 1-11/16 inches. This 6-string mini acoustic guitar has an all-wood body and dotted inlays on the fretboard. Lastly, this instrument weighs 11 pounds. 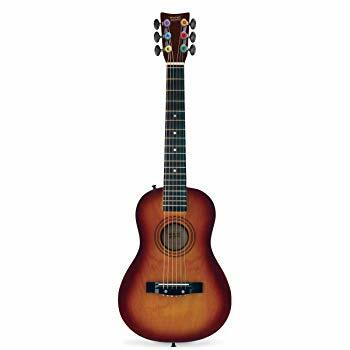 This 3/4th size mini acoustic guitar is perfect for beginners, teenagers, and travelers. 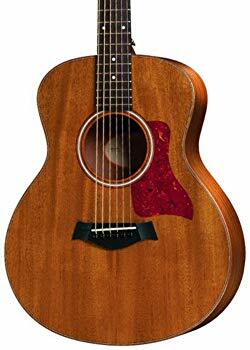 It features a 19-fret rosewood fingerboard and Mahogany tonewood back and sides. With dotted inlays on the fretboard, this 6-string guitar features a mahogany tonewood top. In addition, it features a satin finish and Celtic laser design around the soundhole. This instrument has a fixed bridge and it weighs 4 pounds. Lastly, it has strong machine tuners. This mini acoustic guitar has chrome hardware and basswood made back and sides. It features a solid spruce veneer top and has a 21-fret rosewood fingerboard. This instrument by Gibson has dotted inlays on the fingerboard and it weighs 7.75 pounds. In addition, it features a contoured maple neck and smooth tuning pegs that reduce tension between the strings and the guitar’s neck. Lastly, it has a satin smooth glossy finish. Living up to the brand’s name, Martin LX1E mini acoustic guitar produces surprisingly loud sound despite its small body. It has a Sitka spruce top and a low oval laminated neck. It has a richlite 0-14 fret style fingerboard with 20 overall frets. Additionally, this mini acoustic guitar has Mahogany tonewood back, sides and tops. This instrument has a smooth satin finish and it weighs 8.3 pounds. Lastly, it has chrome tuners and Fishman Sonitone electronics alongside a belly bridge. All upper and lower frets are finger accessible. This classical mini acoustic guitar is designed for the comfort of beginners, teenagers and for people with small hands. It has a laminated spruce top and laminated basswood back and sides. This mini acoustic guitar features an ebonized bridge and fingerboard with 18 frets. In addition, it has stainless button tuners and a slim Maple neck. The ADM classical mini acoustic guitar has nylon strings and it weighs 3.79 pounds. Lastly, it features black ABS binding and has a synthetic bone saddle. Cordoba Mini M is a 6-string mini acoustic guitar that has a solid Sitka spruce top. It has nylon strings and a 19-fret rosewood fingerboard with a dotted inlay pattern. This guitar, with a 20-inch scale length, also has Mahogany tonewood back, sides and top. In addition, it also sports a U-shaped contoured neck and a thorough matte finish. Moreover, this Mini acoustic guitar has a 1.96-inch nut width and it weighs 2.5 pounds. Lastly, it has a fixed guitar bridge system compromised with a saddle. This antique looking mini acoustic guitar has a solid spruce top and nylon strings. It has Mahogany tonewood and sides and features a fixed guitar bridge system. In addition, this instrument has a stunning laser etched design and a satin smooth matte finish. The Coco x Cordoba mini acoustic guitar weighs 4.95 pounds. Lastly, it has inlays on the fretboard. Mini acoustic guitars come in different shapes and sizes. They are all equipped with a different set of features that distinguish each piece from the other. Keeping this diversity in mind, we have compiled in a list some features that will guide you through all the variations and help you in finding a mini acoustic guitar that’ll be perfect for you. Skill Level – Depending upon the music level, mini acoustic guitars are loaded with different features for armatures, intermediates, and professionals. Thus, buy a guitar according to your music level. 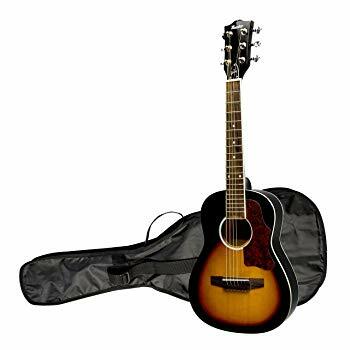 Besides, it is always wise to pick an intermediate’s mini acoustic guitar for backpacking, considering it is portable, sounds good and costs less. 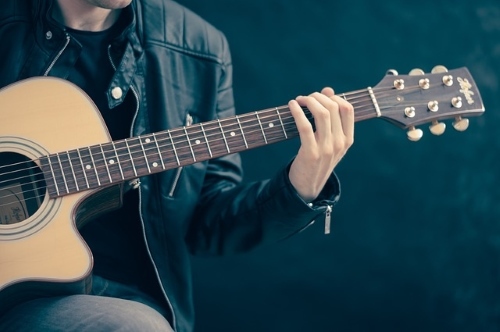 Music Style – This feature mostly concerns intermediates and professionals where the focus shifts to tonal quality and music style other than just learning to finger pick the chords. Buy steel string mini acoustic guitars for jazz and pop music. However, a nylon string mini acoustic guitar is better for warm classical tones. Construction Material – Construction material is important since it determines the cost of the instrument, its tonal quality and also its purpose. A dry tonewood mini acoustic guitar is expensive and manufactured basically for professional stage musicians. On the other hand, laminated body guitars are priced sanely and just fine for the needs of beginners and intermediates. Guitar’s Action – While most people prefer low action guitars with light gauge strings, trained professionals have different preferences and needs. 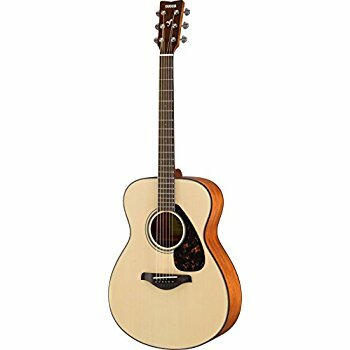 Thus, some mini acoustic guitars can be low action and some others might come with medium to heavy gauge strings and an adjustable truss rod to decide the guitar’s action. Size And Shape – Mini acoustic guitars come in different sizes and shapes and have different bracings. 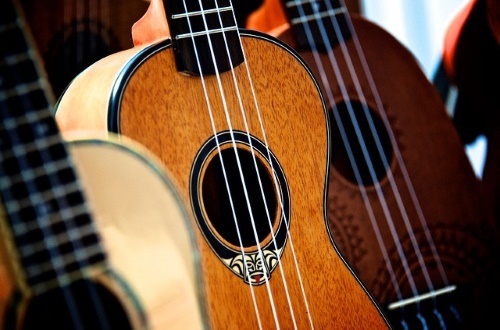 These factors determine the instrument’s playability and tonal quality. While some guitars sit right on people with a smaller profile, some others are made for taller people. Other than this, also keep the guitar’s orientation in mind while buying one. In conclusion, mini acoustic guitars have different sizes, shapes, and features. 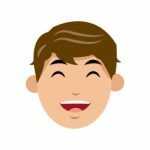 While some are just for beginners with a limited set of features, some others have complex features that are of use for intermediates and professionals. They are also good for camping and hiking guitars that produce a loud sound. As a consequence of these many features, they vary in cost. 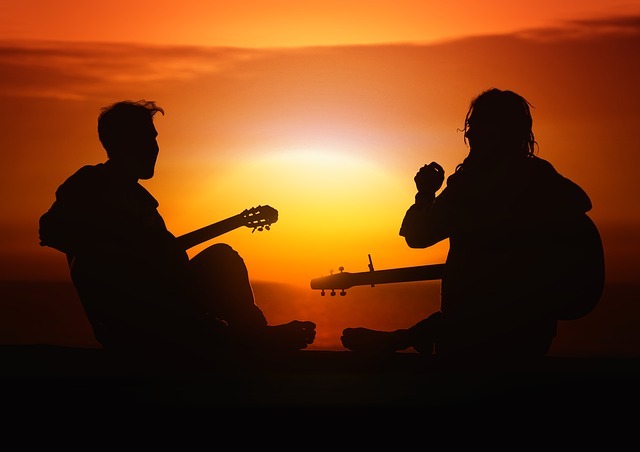 In such a scenario, the two best ways to save money while buying a mini acoustic guitar are, focus on your music entry level and the features of your needs.